Your hosts, Rosie and Chris, are active members of the Virginia foxhunting community. An extended stay at Freedom Fields Farm could include hunting with one or many of the local clubs - Bull Run Hunt, Keswick Hunt, Old Dominion Hounds, Rappahanock Hunt, Thornton Hill Hunt. Each Hunt has a different schedule, so be sure to confirm theirs with yours. In July, we walk the hound puppies on foot with the pack to socialize the pups and teach them to follow their elders. Then in August we begin walking the young hounds on horseback to acclimate them to the larger animals and mentality of foxhunting. Formal hunting starts around mid-October and runs until the end of March. “March Madness” is our favorite time of the season! For a week straight we hunt every day at a different fixture (property) and finish the week off with a black tie, dinner and dancing event called the Hunt Ball! 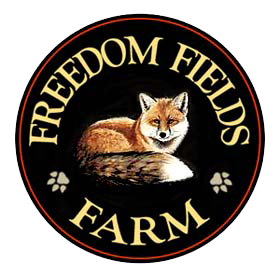 If you are interested in learning more about foxhunting, in the summer Freedom Fields Farm offers an introduction to Foxhunting weekend. Your typical stay will start off with a morning ride to get acquainted and learn about the basics of foxhunting on horseback. You will ride the hunt trails and see the hunt jumps and coops. Have lunch and then take free time to relax or nap. We ride again in the late afternoon or early evening with some jumping on the trails. Later we discuss hunt traditions, attire and etiquette to build your knowledge of the sport. For those preparing to ride with the hunt, we will discuss how to ride in the field and the proper hunt field etiquette. The evening is then yours to explore what the local towns have to offer. Perhaps your evening could be rounded out with a drink on the porch and a soak in the hot tub! The second day will include more riding, as well as a visit to the Bull Run Hunt Kennels. For those staying with hunt horses during the season, there are many local hunts that you can participate in, with prior permission and cap fees. By combining hunting with trail rides, and even an exploration of local state parks, you could experience a new ride 6 or 7 days in a row!